Free download available for iPad now. Card-battlers rejoice! 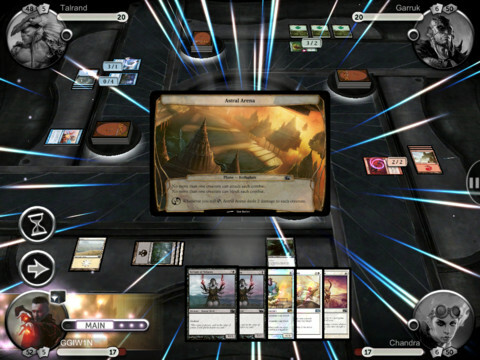 Magic The Gathering Duels of the Planeswalkers 2013 (sensibly reduced to Magic 2013 on the App Store itself) is now available on the App Store for iPad. The free download includes three decks while others are available to purchase. If you want to stick to the free offering, you'll have a full single-player campaign to enjoy with four opponents to battle. Purchase the premium content on the other hand and you'll be able to experience multiplayer modes, an additional 18 campaign levels and, of course, a much wider variety of cards. We'll bring you a review of Magic 2013 just as soon as we can.